Sport There are 17 products. Doing sports is very important for your health, but do it with the right outfit even more! 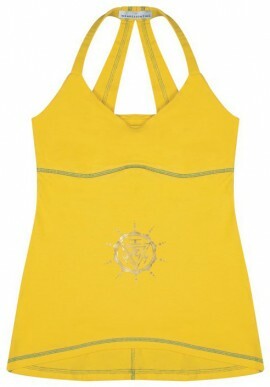 Hip length yoga tank, slim fit, wide V-neck, thin straps that embrace the neck and run down the back. Emerald green stitchings. Yellow coloured like Manipura, the “raw gemstone”, the third chakra associated with powerful will and personal self -determination. Long shaped, wrapping v-neck top with double criss-cross on the back and soft purple stitching that grant a perfect fit. 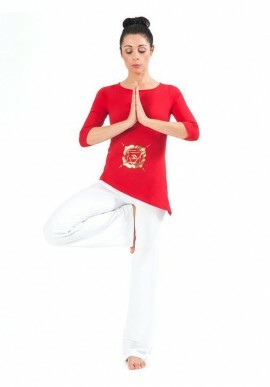 The tank is orange like Svadishtana, the second chakra that holds the sexuality and the creative feminine power. Sport - Dezzy.it Doing sports is very important for your health, but do it with the right outfit even more!